Converse Chuck Taylor High Top Batman Shoes Size Toddler 9. No laces. Need a wipe down on whites. Excellent graphics. Fast and free shipping. Pre owned little boys converse. The rubber edge and label and sole have a fair amount of wear. The upper canvas is in better shape. See pics for details. Converse CTAS Ox Low Top Boys Black/Bold Lime Infant Shoes 754410C Size 5. Shipped with USPS Priority Mail. A minor flaw(s) may be included. Typically, a good amount of life remains in the shoes. A small amount of visible use. A minor flaw may also be included. Significant Use. EACH MANUFACTURER VARY IN SIZES. Toddler boys converse size 7, play. Condition is Pre-owned. See pics, they have some wear, and logo fading. Shipped with USPS First Class Package. 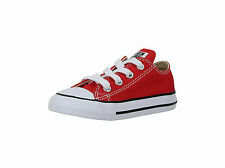 Toddler Boys Converse Size 5c. Condition is Pre-owned. Shipped with USPS First Class Package. New ListingConverse All Star Baby Size 3C !!! Toddler Boys Converse 5c. Condition is Pre-owned. Shipped with USPS First Class Package. Converse toddler 8. Condition is Pre-owned. Signs of wear no rips or tears. Refer pictures for conditions. No odors. Shipped with USPS First Class Package. Converse All Star Shoes Bundle. Trending at $30.45eBay determines this price through a machine learned model of the product's sale prices within the last 90 days. In GREAT condition. NO scratches, scuffs or creases! These have a padded tongue. little speckles of paint on them. worn in. Converse CT High Street Infant Toddler Baby Boy Shoes US Size 6 Black New. Condition is New with box. Check out my other auctions! CONVERSE ALL STAR CHUCK TAYLOR BLACK TODDLER BOYS HIGH TOP SNEAKERS - Size 7. Condition is Pre-owned. Shipped with USPS Priority Mail. Navy Blue Hi Infant Crib Shoes Size 2. CONVERSE ALL STAR CHUCK TAYLOR. Converse Toddler/Infant Boot Leather Shoes. Color: Navy. NEW WITH BOX! For more info. Custom Converse All Star Athletic Shoes infant White tennis shoes. These are collector's quality. I doubt anyone will have ever seen any shoes like them. So if that is what you're looking for, you have found them! Baby/Toddler Racecar Converse Size 2. It has been nearly ten years since I sold anything via this site.